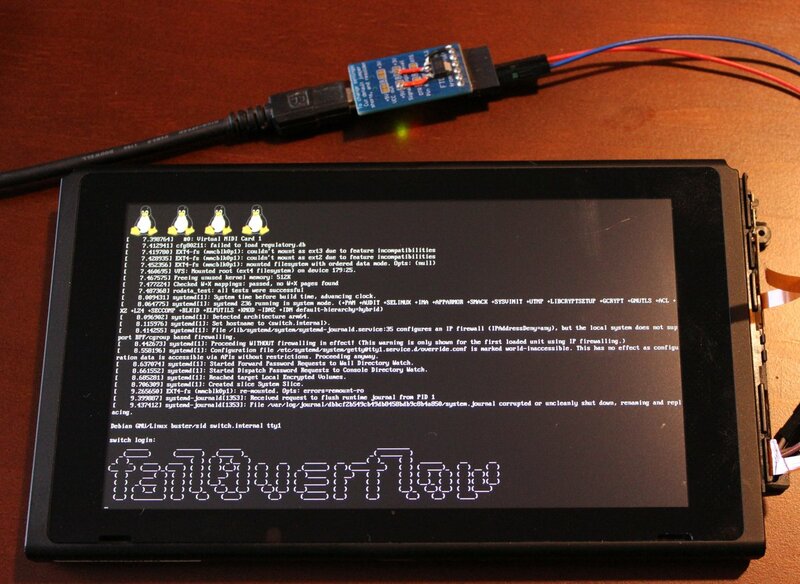 Last week, hacker group fail0verflow shared a photo on Twitter, showing that they had managed to run Linux on the Nintendo Switch. This tweet followed after a previous one in January where they explained that their Switch coldboot exploit is a boot ROM bug, which as suggested in the name, is a piece of code containing instructions about the booting process stored in a read-only memory. They also revealed that it is not possible to fix the flaw using patches in the current Switches. Earlier, they had also tweeted a scroller for the Switch. While they have teased the exploit to the public, it may be a while before fail0verflow publicly release the details and code for their hack, as evidenced by the PS4 exploit that they demonstrated in 2016 and only revealed the details of over a year later. Meanwhile, the Switch hacking community continues to make progress. After the 34C3 conference which left the console’s security wide open, it seems that it’s going to be easier for hackers to create homebrew software for the Switch and even pirate games, which could mean serious financial repercussions for Nintendo. PreviousHACKING THE SNES CLASSIC EDITION!!! GROŹNY HACKER NA FACEBOOKU! POZNAJ PRAWDĘ!